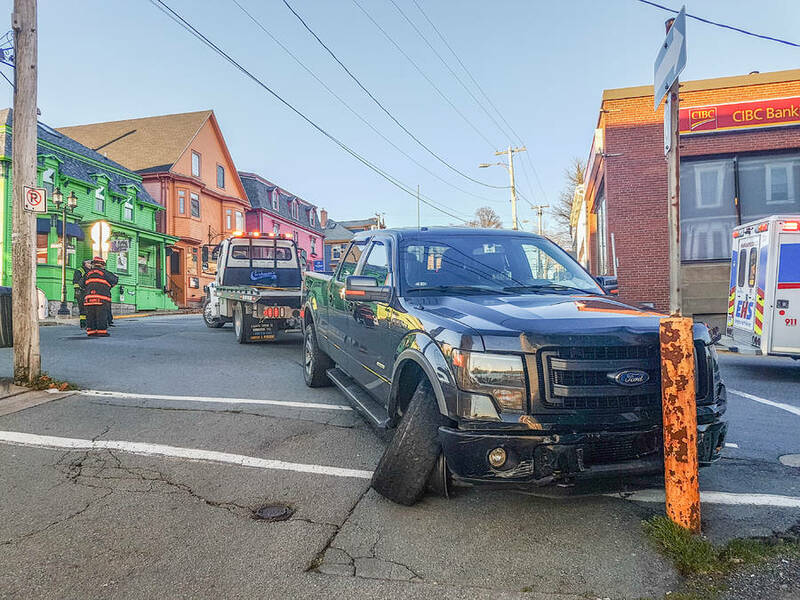 The driver who rampaged through Lunenburg in a black truck on November 11 has been charged with impaired driving and driving with a blood alcohol concentration over 80 mg%. Nova Scotia RCMP said the Lunenburg County man, 41, is scheduled to appear in Lunenburg Provincial Court on January 9, 2019. The driver was arrested on the scene November 11 for alcohol-impaired driving after causing damage to three parked cars, two parking meters and a building. He was taken to Cookville Detachment for a breath test. The samples he provided were approximately two-and-a-half times the legal limit. Witnesses on November 11 say a male driver in a black Ford Truck hit a number of cars and structures on Lincoln Street in Lunenburg after a Remembrance Day Ceremony in the waterfront town before police were summoned. At 3:43 p.m. Lunenburg District RCMP responded to several 911 calls of a black truck that was driving erratically through Lunenburg. Police located the truck at the corner of King and Montague Streets, with the driver sitting outside the vehicle. The investigation is ongoing and further charges are possible.